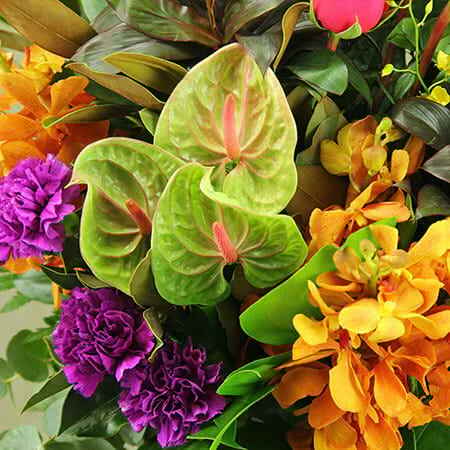 This premium vase of tropical flowers is like a floral hurricane of colour, with masses of bright blooms arranged for maximum impact. 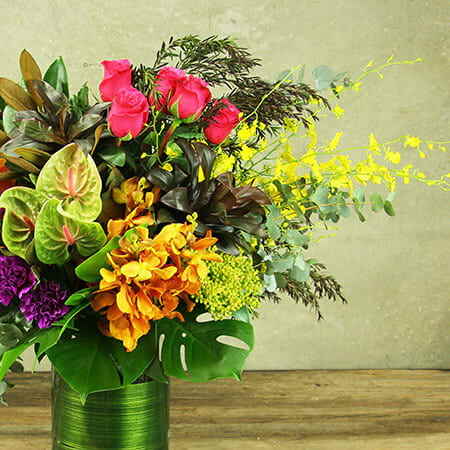 Our tall, leaf-lined vase stars lush roses, contemporary lime anthurium lilies, juicy orange Vanda orchids, vivid purple carnations and sprays of yellow dancing lady orchids. One word - stunning! Designed with stems of exotic foliages, this tropical flower vase is the ultimate in luxury gifts. Add a bottle of bubbly or one of our summery ECOYA Guava & Lychee home fragrances and you have the ultiamte gift. 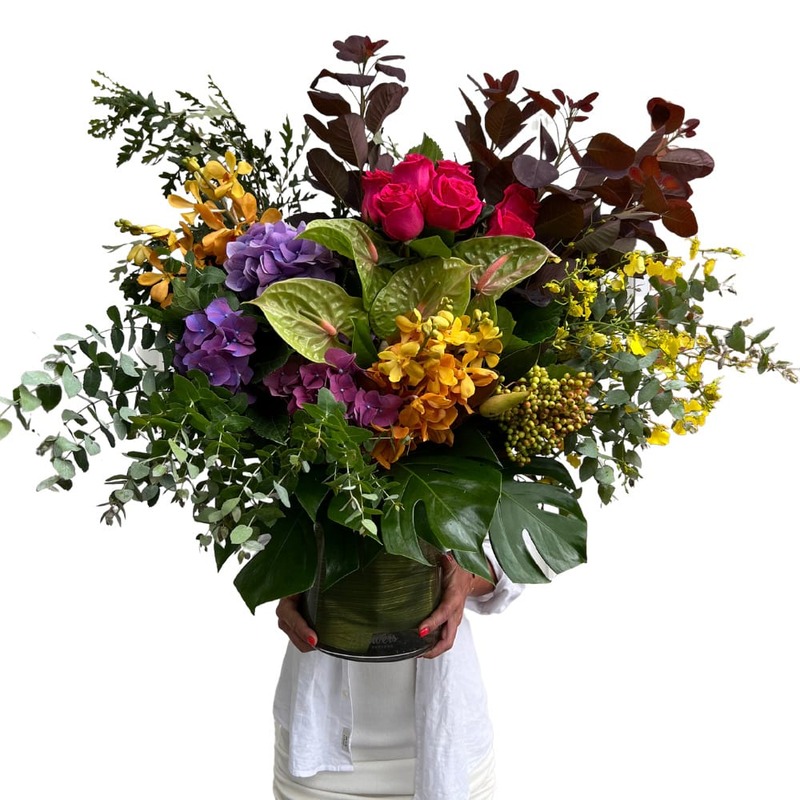 Order this luxury vase of tropical flowers delivered Sydney wide via our website or call the team on 1800 66 66 46. Want to send a similar style vase outside Sydney? Give us a call and we`ll provide recommendations and a custom quote based on your delivery location.